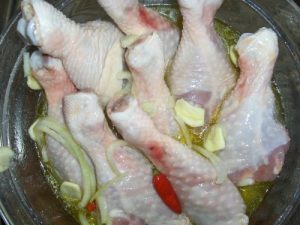 The time needed for marinating chicken depends on the ingredients. In an airtight bag, 45 minutes will be sufficient. If there’s vinegar it should be two hours. However, it won’t hurt to marinade it for 24 hours either. You don’t have to marinate the entire piece. You can slice it into several parts. Even if you’re going to cook the whole chicken, cutting them into smaller chunks might help in soaking in the flavors. Taking off the skin also helps in absorbing these juices. If you don’t want to get rid of the skin, just give the meat more time to soak the flavors. 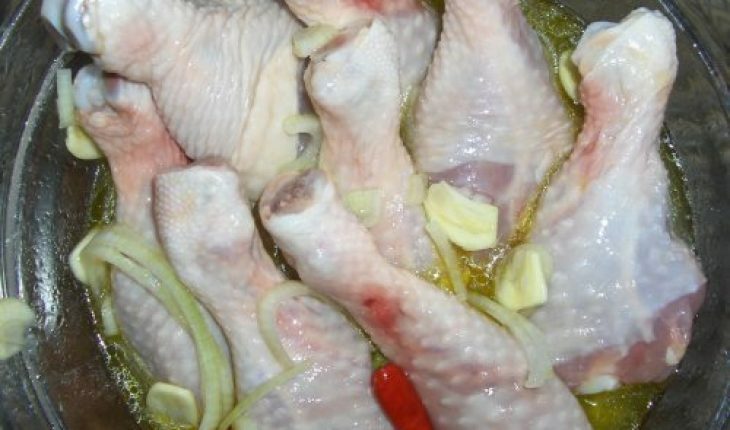 The time frames mentioned for marinating chicken are based on the USDA Food Safety recommendations. However, there’s nothing wrong with marinating for just a couple of hours or so. The 24 (and even 48) hour period can be used, but not always necessary. It might actually harden the meat if the juices are acidic. If you’re not sure, refer to the recipe guide you’re using. Give yourself enough time to plan and prepare. If you’re working, get the marinade the night before. You can also do it in the morning. Of course you should have an idea of the ingredients to use. Experimenting can be fun, but if you don’t have the time assess the ingredients early on. When you’re marinating chicken, place it in the fridge. Room temperature might ruin the flavor. It’s also a good idea to use airtight bags. It keeps the flavor locked in. You can also use bowls. The difficulty is it can take longer to clean up. If you do use bowls, make sure they’re plastic or stainless steel. Don’t forget to seal the bowls when marinating. Never marinate using sauce from uncooked meat or fish. Boil it first so all the bacteria will be killed. You must also avoid reusing marinade sauce. Once you’re done using those juices, discard it. If you are marinating chicken, don’t use foil or any storage made of aluminum. The material will ruin the chicken’s flavor. In some cases it might spoil the meat altogether. To decide what sauce to use, ask yourself what flavor you want your chicken to have. If you want something strong and tangy, use vinegar or lemon juice. For something spicy, add pepper. Other seasonings you can use are yogurt, salt and mustard. For different textures and flavors, use fruits and herbs. Fresh herbs are the best choice. If the herbs are dry, crush it before using; it’ll release the scents quickly. Oil is important, but keep the amount to a minimum. Too much of it can overpower the other sauces. A good rule of thumb is 50 / 50 oil and acid. Marinating chicken is the easiest way to add flavor to your meals. More importantly, you can add the taste and texture you want. Be creative and get that chicken to taste the way you want it.